These are some of our daughter's scribbled art on the computer. It amazes me that I only have to show her once on how to open the paint section on the computer and she knows it already. 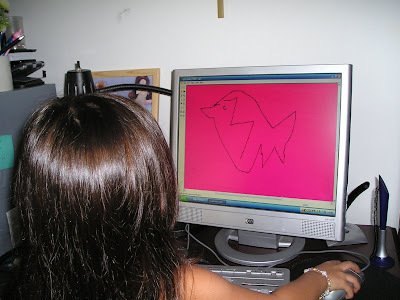 She can just click and click and she is already scribbling. 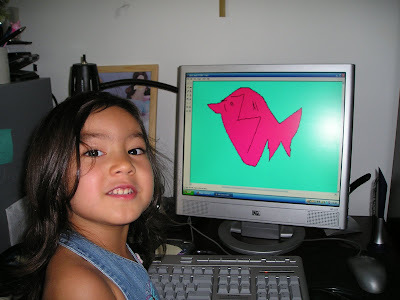 I think she will be a good blogger too later on hehehe..
She was very proud of this fish.. Here is the boot or shoe that she drew. What funny is that when I ask her questions like "How do you change the color? ", she would describe it to me step by step.